Fill in your details below and we will let you know within 24 hours if we can get Dice Boot to you with haste! Tired of dice rolling off the table? Weary of lugging around unwieldy dice towers? Looking to take control of your dice rather than your dice controlling you! 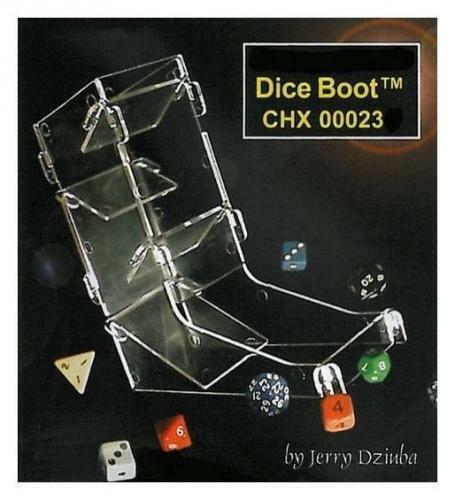 Then, this portable dice rolling tower designed to assemble into a convenient, free-standing boot shape is for you!